When figuring out how much they need to save for a comfortable retirement, many people forget to account for the inflation that will occur once they are no longer working. They may begin retirement with a sufficient nest egg to maintain their lifestyle, but they put all their money in cash or bonds and not in stocks. Because of this, inflation may outstrip the rate of return on their investments as they go through retirement, leaving them pinching nickels and dimes, which is no way to live in their golden years. Consider Sara and Sam, who are about to retire. They have about $300,000 in Sara’s 401(k) and $300,000 in outside investments. Their goal is to split their investments so that they have about 50 percent in stocks and 50 percent in bonds, which is a smart allocation for people who have just retired and might live another 20, 30, or even 40 more years. Their plan is to live off a pension, Social Security, and a small portion of the interest their investments earn. They are contemplating whether they should invest in stocks within or outside their 401(k). The conventional wisdom is that you should hold long-term investments (such as stocks) inside retirement accounts, such as your IRA or 401(k), and shorter term investments (such as bonds) outside retirement accounts. The theory is that because stocks should perform better over the long term, they should be held in a long-term account. 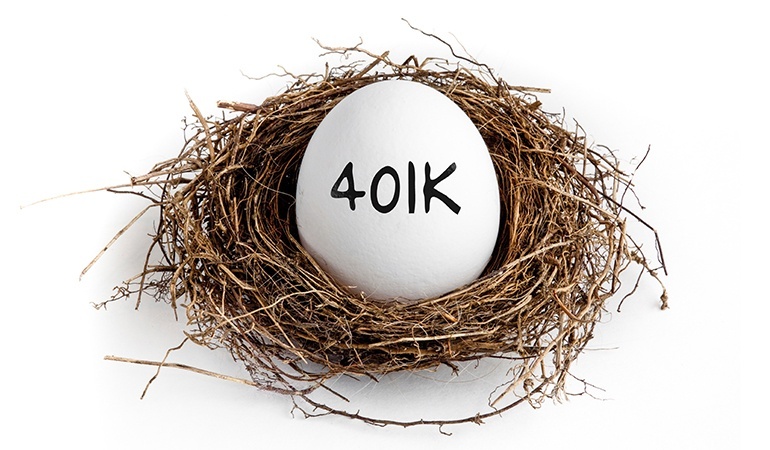 Due to tax changes made a few years ago , though, withdrawals from retirement accounts and income from bonds are now taxed as ordinary income, with tax rates that can start at 15 percent and go as high as 39.6 percent. However, when it comes to stocks, the law says that as long as they are held outside of a 401(k) rather than in one, any appreciation in the value of the stocks will be treated as capital gains, with long-term rates ranging from 10 percent to 20 percent rather than taxed as ordinary income upon withdrawal. Because of the current tax laws favoring capital gains, Sam and Sara probably want to consider owning the majority of their stocks outside of their retirement accounts and having their bonds in their 401(k) or IRA.